“I am inspired by the amazing power of a woman birthing and then the joyous moment when a new life is welcomed into the world.” Dr. Buhler completed all her medical training in Vancouver. Her thirty years of volunteer work and family practice with a focus on women’s health has given her a strong connection to the birthing community in Vancouver. She was a founding member of the Vancouver Women’s Health Collective in 1971 and has been an advocate of woman-centered care ever since. Later she played a role in the establishment of midwifery as a legal, regulated, and independent profession in B.C. She is currently Head of the Department of Family Practice at BC Women’s Hospital. She has two children and loves to spend time with her family and friends hiking, skiing, kayaking, and canoeing--anything to get outdoors. Promoting the group care model for pregnancy (see Connecting Pregnancy) and incorporating Mindfulness meditation practice into pregnancy care are two of her current passions. She might be seen over in the corner with eyes lightly closed while waiting patiently for a baby. ( Dr. Karen Buhler, Family Doctor, Vancouver, BC ) is in good standing with the College of Physicians and Surgeons. 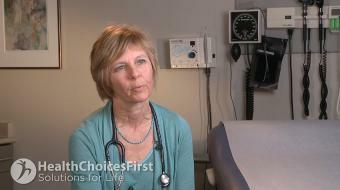 The speaker in the video may have no association with ( Dr. Karen Buhler, Family Doctor, Vancouver, BC ). 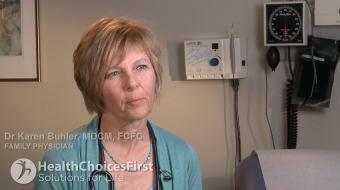 ( Dr. Karen Buhler, Family Doctor ), may talk about some of the conditions and some of the treatment options shown in the videos on HealthChoicesFirst. Always talk with your health care practitioner about the information you learnt from the videos in regards to treatments and procedures the healthcare practitioner could perform and if they would be appropriate for you. Remember good information is the corner stone to understanding your condition or disease. Please contact ( Dr. Karen Buhler, Family Doctor, Vancouver, BC ) to enquire if this health care provider is accepting new patients. Dr. Karen Buhler, family physician, discusses The Role of Your Healthcare Provider During Pregnancy. 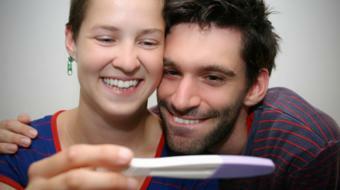 Dr. Karen Buhler, family physician, discusses ways to increase your chances of getting pregnant. 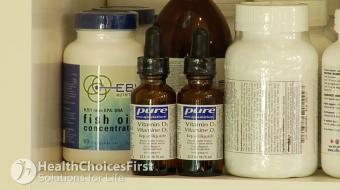 Dr. Karen Buhler, MD, family physician, discusses vitamins and pregnancy. Dr. Karen Buhler, MD, discusses the effects of alcohol on pregnancy. 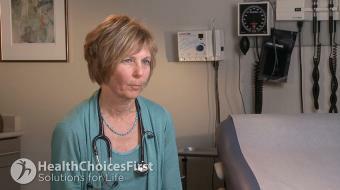 Dr. Karen Buhler, family physician, discusses choosing a pregnancy provider. 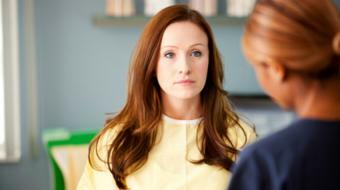 Dr. Karen Buhler, MD, discusses pregnancy health and lifestyle. 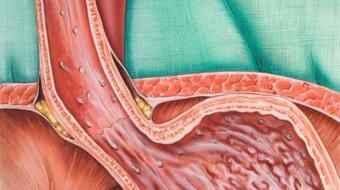 Dr. Karen Buhler, MD, discusses How Does Smoking Affect Your Pregnancy? Dr. Karen Buhler, family physician, discusses the effects of drugs on pregnancy.